The girls have returned to the back of the RV…again. We decided they needed more room to stretch out, play, and learn, so we took the tiny room up front. You can read about our bedroom’s 3rd transformation HERE. The additional remodeling posts on that are at the end of that blog post. We went with an all-white theme this time. It was quite the change from the former gypsy-bohemian feel it once had, but we love it. Please keep in mind, that this is a Toy Hauler RV. We can add a LOT of crap back here (and some up front)…and we have. Roughly 1,000 pounds of furniture, clothing, books, and toys went into this back room alone!!! And yes. I weighed EV-ER-Y-THING before bringing it in. So without further adieu, here’s their new bedroom theme! The “door” to their room. Nic’s built them a real door before…but it didn’t really work out. So we’re back to the good ol’ curtain in doorway again. And honestly, it works out MUCH better for getting heat into their room. So it’s all good. I sewed them some tapestries for their Homeschooling cabinets. I made them from an old table runner I had. Book storage is handled via Cubeical systems. A beautiful friend of mine, and fellow fulltimer, gave me the brilliant idea of using bungee cord to hold the books in place. I purchased 1/2” black bungee cord off Amazon, drilled 1/2” holes into the sides of each shelf for the cord to go through, and knotted them at each end, after pulling them through (which wasn’t easy). She had the great idea to glue washers onto the outside of the shelves holes FIRST, before knotting the cord. That way, it couldn’t damage the shelving (since it’s just cheap plywood), every time someone pulled on the cord. So far, however, we’ve yet to have any problems stem from skipping that step. I’m hopeful we never do. After the cord was knotted, I burned the ends of all the cords, so they’d stop fraying. This is a brilliant method for books during transit mode. They slide back and forth a bit, but don’t fall off. And it’s really cheap and easy to do this. The Globe is screwed through the plastic base into the shelves below it. I didn’t want to worry about it during transit mode. Nic carpeted this room right before we moved back in, in April. He put padding under it as well, this time. I wish we had put padding underneath the Kitchen/Hallway carpet first. Maybe in the future we can. It’s just nice for additional insulation on the floor…and it’s squishier for Yoga. MHG’s Side of the Bedroom. Her bookshelf, desk, overhead shelf (for Homeschooling books) and Homeschooling cabinet. We are still devising a plan for keeping stuff on the overhead shelves (both ones back here, and ours up front). We have a few ideas. Her black & white lamp is stapled to the desk for transit mode. It’s kinda ghetto…but it works. I stapled over top its electric cord, making sure to not staple THROUGH the cord. I stapled that curtain up in front of the wheel well to hide the overflow storage stuff (binding machine, laminator, & microscope/telescope kit). The overhead shelf. Nothing fancy. But it IS super bolted up there. It houses the Homeschooling curriculum books & “keep out of reach of 4 year old” school supplies: glue, stapler, scissors, etc. I designed and built that wooden curtain valance all by myself. Then I brought it inside and upholstered it to match the room. The curtains consist of Eclipse brand thermal curtains behind the gold, room darkening curtains. The thermal curtains have velcro down the inside edges, so they can be kept shut at night. They work decently well for keeping out the cold. That hanging basket on the underside of the overhead shelf, gets cleared out to make room for the Comfort Zone electric heater. That heater, in conjunction with the RV’s furnace, both work AMAZINGLY WELL to turn that room into a sauna. 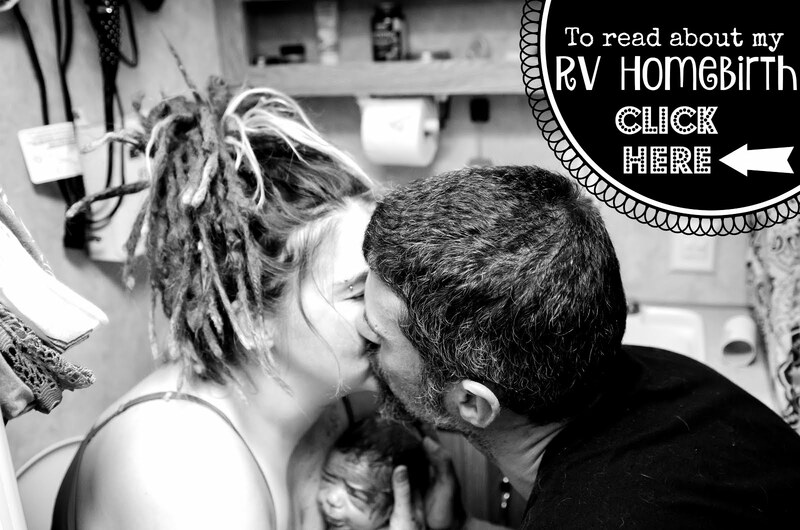 You can read more HERE about all the things we’ve done to ready this room, and the rest of our RV, for a Winter in Colorado’s Rocky Mountains. My Husband built/stained/poly’d these “desk” shelves and overhead shelves for each of them. The IKEA cabinet we keep our Homeschooling & Craft supplies in. My Husband installed magnetic latches on them after-market, to keep the doors shut in transit mode. Cinderella has one on her side as well. It holds all her monthly Montessori by Mom toolboxes, games, toys, blocks, & other educational items. Cinderella’s side of the bedroom. Her bookshelf, desk, overhead shelf (for Homeschooling books/puzzles) & Homeschooling cabinet. The Cubeical for Cindy holds far less books…and only the really tall books. The bottom shelf remains clear at all times. The furnace vent blows out there, and we hung the CO detector on the inside, as well. She knows not to touch it, and to never block that shelf with anything. Cindy’s desk that Daddy built her. Surprise!!! Cindy’s wheel well curtain hides the litter box! We had to put that thing somewhere. We are incredibly diligent about emptying it daily, however, and it gets completely new litter every weekend. 95% of the time, you don’t realize it’s there. The candelabra is not permanently adhered to the shelf, like the Globe is. They play with it far too often to do that. The girls love it so much. It has perfect battery-operated taper candles & gets lit up at night as a night light. It adds a nice touch to the Harry Potter theme. I believe my Mother-in-Law found these candles for just a $1 each at the Dollar Tree. IKEA for the win again! The Bygel rails with their accompanying buckets and hooks. I’ve been meaning to spray paint the buckets dark red and the rods-gold…but I never find the time to get around to it. The buckets are perfect for holding coloring supplies and believe it or not, they stay on just fine in transit mode. Her overhead shelf holds Homeschooling books, puzzles, Hot Dots cards and a couple large dinosaurs…because what RV would be complete without a couple large dinosaurs taking up valuable space, haha! She loves Dinosaurs though, so it’s all good. My wooden, upholstered window valance I built. Her Homeschooling cabinet…note the diffuser (that needs to be replaced with the Dino Land Young Living Essential Oil Ultrasonic Diffuser for Christmas) on top of the cabinet. Diffusers are awesome as tiny humidifiers. Perfect for tiny spaces like this. Although most people get DE-humidifiers for their RV, we do not. Without them, both our girls are notorious for getting dry-climate nosebleeds. The poor sweet dears. Seriously. How freaking CUTE is this diffuser?!?! Cindy is madly in love with it! She loves ALL the dinosaur things! You can sign up to get the Wholesale Membership 24% discount for life at: www.YL.pe/bmz and order it HERE. I digress. Here’s our custom closet that the Hubby built. He’s literally done pull-ups on it. It’s mounted to the ceiling in studs. On the top rod are his clothes and my clothes (which reach all the way to the back wall…and yes, I can still reach them behind the end of MHG’s bed…although I do make a point of not putting my most frequently worn clothing down there. Below Nic’s clothes, is a shelf that is hard to see. Underneath that, is the rack for the girls’ clothes. Under their clothes, is a shoe rack. Behind my clothes, is the rear exit door. The bar that houses the girls’ clothes on the the right side, pops easily out, so you can get out the back door. In the back corner, where you see the purple cubeical bins, is where we all store our undergarments and PJ’s. The shelf under Nic’s clothes, above the girls’ clothes on the left side. The shoe rack and the undergarments bins to the right. If you look hard enough, you can barely make out the exit door behind everything. The right side of the girls’ rod pops out easily to escape out that back door. It’s a hot mess, but it works. A shot of the back of their room from standing in their doorway. This was before I sewed their duvet covers. Under MHG’s Bunk, we keep the cubeical system that I custom built from 2 separate cubeical units. I had to measure the new hole placements, drill new holes, cut the boards, and screw everything together, but in the end, it was worth it. I turned it from a 9-cube unit, into a 12-cube unit. The top 2 rows are for the baby. They hold the cloth diapers/wipes, blankets, clothes & toys for baby. The bottom 2 rows are toy storage for the girls. We have a couple bins for play food/kitchen toys, dinosaurs, baby dolls, dress up & stuffed animals. Under Cinderella’s Bunk, we keep strictly her toys. There’s the Melissa & Doug fold-out castle, a bench seat/storage shelf I built, some baskets for smaller toys and the mushroom faery house I sewed her a couple years ago…that she hardly ever plays with. Both of the girls fit under there with plenty of head room to play. MHG’s play space is at the end of her bunk. I built her a dollhouse for her Monster High Dolls. She just absolutely loves that thing. She’s able to store most of her dolls along the right side of the dollhouse, between it and the wall. That’s a 5’ diameter rug, so it kind of gives you an idea of the floor play space they have, plus they have under Cindy’s bunk and the front of their room where their desks/bookshelves are. I’d say they have about a 6 foot by 7 foot area to play in, total. Which for an RV…is TONS of space, lol! Hogwart’s Potions Class. She’s sitting on the bench seat I made her. It doubles as a toy storage shelf under her bunk when not in use. The legs on that table unscrew, to easily be stowed away with the tabletop, when not in use. Naturally, finding a toddler sheet in Gryffindor red is impossible. So I sewed my own. MHG’s mattress is custom made by me. It consists of numerous layers of egg crate foam sewed together, until it’s thick enough to not feel the floor underneath (while I’M lying on it). So I had to sew her a custom matching fitted sheet as well. Then, I had to sew them each a custom duvet cover for their Winter blankets. I picked gold crushed velvet for the fabric. It’s WARM, most importantly of all. But it goes with the Harry Potter theme quite nicely. They call them their “Invisibility Blankets”, since the crushed velvet is the same fabric as their cloaks. The red fabric on the walls, were our old curtains I used to have in my Yoga room of our house. They are put to an even better use now. That’s a chalkboard above MHG’s head. She is constantly drawing up there on that thing. Lastly, but probably the MOST IMPORTANT OF ALL…we switched all the RV light bulbs in this place to LED Light Bulbs. After an old light housing got incredibly hot, Nic removed it from the ceiling to reveal a charred ceiling behind it. We were mortified. I had seen an heard stories of other RVers’ light fixtures catching on fire…but I never realized how close we had come to that happening to us. The second we saw that, we went out and dropped a pretty penny to replace Every. Single. Bulb. in our home. And the peace of mind was worth the cost alone. But our electricity bill has gone down now as well. They’ll pay themselves off in a couple more months…then we’ll get a few more YEARS of use out of them. So yay to saving money and not burning our home down! The girls love their Harry Potter room. It’s pretty much the opposite of our bedroom, but it’s a nice compliment to their wild and adventurous imaginations, so I’m glad we could help make their dreams come true. Every day now, there’s a Harry Potter class of some sort going on in there…it’s so cute to listen to. Their room is magickal, well-organized, and fun. What more could a couple of little girls want.